When the otherwise forgettable The Fish That Saved Pittsburgh arrived here in 1979, my father was working the "extra list" at Teamsters Local #249. One afternoon they received a call from Lorimar Productions, and my dad- who had been told by a friendly union steward to make certain he was there that day- found himself with a lucrative temporary gig as Jonathan Winters' chauffeur. At the end of the shoot, the locals working on the production received an official "Fish That Saved Pittsburgh" belt buckle, which I still have. They also received an unpleasant surprise years later, when they learned Lorimar had never paid payroll taxes to the Feds, which caused my father and others much grief when they applied for Social Security benefits. The situation resulted in my Dad's monthly stipend being a few bucks less than it should have been. But he didn't complain. "I spent three weeks driving around with Jonathan Winters," he recalled with a smile. "That was worth it." "More influential than successful, Mr. Winters circled the comic heavens tracing his own strange orbit, an object of wonder and admiration to his peers." 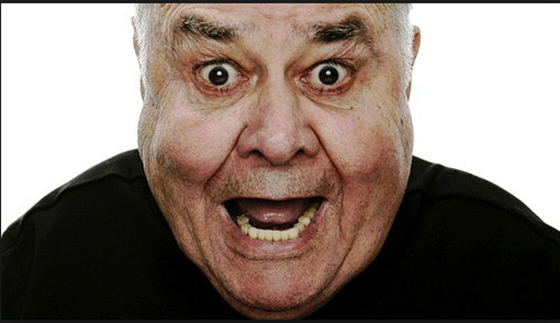 15 of the funniest people on earth died yesterday - and they all lived inside of Jonathan Winters. Bill Cosby was once asked whom he would choose if he had $50 in his pocket to buy a ticket to see only one stand-up comedian, live, in their prime. The comic legend barely took a breath before answering, "Jonathan Winters will make every last one of us stand there in awe." Winters, who died [April 11] at the age of 87, was a master of voices, mimicry, and right-field spontaneity. "What I do is verbal paintings," he told National Public Radio in 2011. "I paint a picture. Hopefully you'll see the characters and what they're doing and what they're saying." For decades after he became famous for his comedy albums, he was a coveted late-night guest because no one- not the audience, not hosts like Jack Paar and Johnny Carson, likely not Winters himself- knew what he was going to do. An evening with Winters on the sofa was can't-miss television, and a generation of comics that followed him- like Robin Williams and Jim Carrey- marveled and were inspired by his daring, try-anything antics. Winters often joked about the mental hospital, playing slightly disturbed characters who belonged to or claimed to have escaped from the asylum. He was drawing from personal experience. At the height of his early fame, he had committed himself to a mental hospital and went on to live with what he diagnosed as bipolar disorder. "I need that pain- whatever it is- to call upon it from time to time, no matter how bad it was," he told NPR. So there was a bit of the tortured genius to him, but his comedy was rarely dark. It was manic and sly. Cosby compared Winters' talent to jazz master John Coltrane, a improvisational artist who could inflate whole stories and characters off a single verbal cue. He was unstoppable, unpredictable, and inimitable. I couldn't wait for success so I went ahead without it. Improvisation is about taking chances, and I was ready to take chances. You come into this world, not knowing who you are, and sometimes, if you live long enough, you go out not knowing who you are.